Abdullah ibn Umm Maktum – Did Rasulullah SAW frown on him? Abdullah ibn Umm Maktum RA was a cousin of Saidina Khadijah bint Khuwalid RA. Mother of the Believers, may Allah SWT be pleased with her. His father was Qays ibn Said and his mother was Aatikah bint Abdullah. She was called Umm Maktum (Mother of the Concealed One) because she gave birth to a blind child. Abdullah ibn Umm Maktum RA witnessed the rise of Islam in Makkah. He was amongst the first to accept Islam. He lived through the persecution of the Muslims and suffered what the other companions of Rasulullah SAW experienced. His attitude, like theirs, was one of firmness, staunch resistance and sacrifice. Neither his dedication nor his faith weakened against the violence of the Quraish onslaught. In fact, all this only increased his determination to hold on to the religion of God and his devotion to His messenger. Abdullah ibn Umm Maktum RA was devoted to the noble Rasul SAW and he was so eager to memorize the Quran that he would not miss any opportunity to achieve his hearts desire. Indeed, his sense of urgency and his insistence could sometimes have been irritating as he, unintentionally, sought to monopolize the attention of Rasulullah SAW. In this period, Rasulullah SAW, was concentrating on the Quraish nobles and was eager that they should become Muslims. 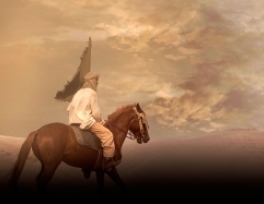 On one particular day, he met Utbah ibn Rabiah and his brother Shaibah, Amr ibn Hisham better known as Abu Jahl, Umayyah ibn Khalaf and Walid ibn Mughirah, the father of Khalid ibn Walid RA who was later to be known as Saiful of Allah or ‘the sword of God’. He had begun talking and negotiating with them and telling them about Islam. He so much wished that they would respond positively to him and accept Islam or at least call off their persecution of his companions. “He frowned and turned away when the blind man approached him ! Yet for all you knew, (O Muhammad), he might perhaps have grown in purity or have been reminded of the Truth, and helped by this reminder. Now as for him who believes himself to be self-sufficient, to him you gave your whole attention, although you are not accountable for his failure to attain to purity. But as for him who came unto you full of eagerness and in awe of Allah, him did you disregard. Nay, verily, this is but a reminder and so, whoever is willing may remember Him in the light of His revelations bless with dignity, lofty and pure, borne by the hands of messengers, noble and most virtuous.’ (Surah Abasa 8O: 116). These are the sixteen verses which were revealed to the noble Rasul SAW about Abdullah ibn Umm Maktum RA, sixteen verses that have continued to be recited from that time till today and shall continue to be recited. “Welcome unto him on whose account my Sustainer has rebuked me.” When the Quraish intensified their persecution to Rasulullah SAW and those who believed with him, Allah SWT gave them permission to emigrate. Abdullah ibn Umm Maktum RA response was prompt. He and Musab ibn Umair RA were the first of the Companions to reach Madinah. As soon as they reached Yathrib, Abdullah ibn Umm Maktum RA and Musab ibn Umair RA began discussing with the people, reading the Quran to them and teaching them the religion of God. When Rasulullah SAW, arrived in Madinah, he appointed Abdullah ibn Umm Maktum RA and Bilal ibn Rabah RA to be muadh-dhins for the Muslims, proclaiming the Oneness of Allah SWT five times a day, calling man to the best of actions and summoning them to success . Bilal RA would call the adhan and Abdullah ibn Umm Maktum RA would pronounce the iqamah for the Prayer. Sometimes they would reverse the process. During Ramadan, they adopted a special routine. One of them would call the adhan to wake people up to eat before the fast began. The other would call the adhan to announce the beginning of dawn and the fast. It was Bilal RA who would awaken the people and Abdullah ibn Umm Maktum RA who would announce the beginning of dawn. One of the responsibilities that Rasulullah SAW placed on Abdullah ibn Umm Maktum RA was to put him in charge of Madinah in his absence. This was done more than ten times, one of them being when he left for the liberation of Makkah. O!! Rasulullah. If I could go on jihad, I would certainly do.” He then earnestly asked Allah SWT to send down a revelation about his particular case and those like him who were prevented because of their disabilities from going on military campaigns. “Not equal are those who remain seated among the believers, except those who possess disabilities, and those who strive and fight in the way of God with their wealth and their persons . . .” (Surah an-Nisaa, 4: 95). Crowds of Muslims from every direction responded to Saidina Umar’s RA call and converged on Madinah. Among all these was the blind mujahid Abdullah ibn Umm Maktum RA. Saidina Umar RA appointed Saad ibn Abi Waqqas commander over the army, gave him instructions and bade him farewell. When the army reached Qadisiyyah, Abdullah ibn Umm Maktum RA was prominent, wearing a coat of armor and fully prepared. 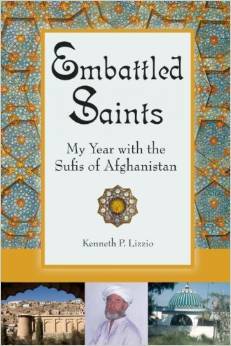 He had vowed to carry and protect the standard of the Muslims or be killed in the process. The forces met and engaged in battle for three days. The fighting was among the most fierce and bitter in the history of the Muslim conquests. On the third day, the Muslims achieved a mighty victory as one of the greatest empires in the world collapsed and one of the most secure thrones fell. The standard of Tawhid was raised in an idolatrous land. The price of this clear victory was hundreds of martyrs. Among them was Abdullah ibn Umm Maktum RA. He was found dead on the battlefield clutching the flag of the Muslims. As Rasulullah SAW prepared himself for a prized opportunity to present Islam to the noblemen of Quraish, a blind man approached simultaneously with a question to ask. Rasulullah SAW frowned. Rasulullah SAW in the early days of the risalah, yearned for an opportunity to present the Sacred Message to the influential upper crust of Meccan society. Finally, an audience was permitted. In attendance were those who others respected and put trust in their judgment. `Utbah, Shaibah, Abu Jahl, Umayyah bin Khalaf, and Ubayy bin Khalaf all assembled. From a distance, in quick stride, ‘Abdullah ibn Umm Maktum RA called out to bystanders to lead him to Rasulullah SAW.. The Prophet frowned. A frown that went unwitnessed by the created was Seen by the Creator. But what would make you perceive, [O Muhammad], that perhaps he might be purified? Or that he might receive admonition, and that the admonition might profit him? But as to him who came to you running. Abdullah ibn Umm Maktoum RA was blind from birth and hence his mother was called Umm-Maktum (Mother of the concealed one). His father Qays ibn Said and mother Aatikah bint Abdullah were not notable or of fine pedigree. He was, by all accounts, a commoner. Rasulullah SAW is sinless. At first inspection, and to the untrained eye, one may think that Allah is rebuking or censoring His Beloved Messenger. That is not the case. That Allah SWT may forgive for you what preceded of your sin and what will follow and complete His favor upon you and guide you to a straight path. The “sins” of Rasulullah SAW are not works of immorality or evil. On the contrary, they are actions of righteous deeds that are beyond their call at a given period of time. Rasulullah SAW neglect of ibn Umm Maktum RA was not out of contempt. It was out of diligence and seeking goodness for the notables. But the Prophet (s) frowned. Ibn Umm Maktum RA was unaware of this frown until Rasulullah SAW, saw him after the revelation of this sura and honoured him by placing his cloak on the ground for him to sit on. Rasulullah SAW loved Ibn Umm Maktum RA, He (ra) would be the second muezzin for Rasulullah SAW and would be his (s) deputy in Madinah during his (s) travels. Nay, indeed it (these Verses of this Qur’an) are an admonition, so whoever wills, let him pay attention to it. The Qur’an is the Word of Allah. It has subtle and delicate nuances that bewilder the knowing. Whenever Allah SWT speaks of ibn Umm Maktoom RA in Surat ‘Abasa, Allah SWT drops a (taa) to imply the earnestness and desire of faith on the part of Ibn Umm Maktum RA. For example, yazzakkā: the original tā’ [of yatazakkā] has been assimilated with the zāy to imply expedience and sure desire. With regards to the conscious rejecters of faith the taa remains as a reminder of their distance from Allah and belief. Eventually, all who were assembled that day would die as conscious rejecters of faith, overwhelmingly during the Battle of Badr. 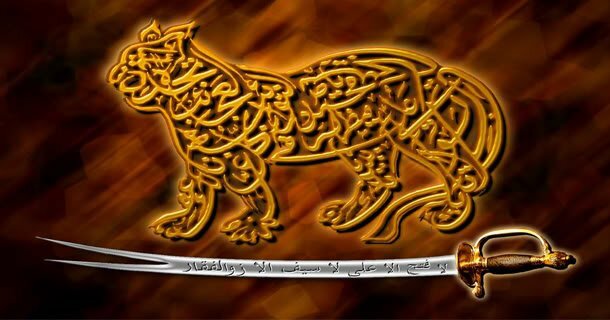 Ibn Umm Maktoom RA would die a martyr as the standard bearer during the battle of Qadisyeh during the leadership of ‘Umar (ra). A blind man leading the believers to victory in defence of the message he so cherished. Fitting.